Enjoy the best inspirational, motivational, positive, funny and famous quotes by Aaron Chatterjee. Use words and picture quotations to push forward and inspire you keep going in life! From a policy perspective, whether such patents are good or not, that will have to be settled in the legislative arena. 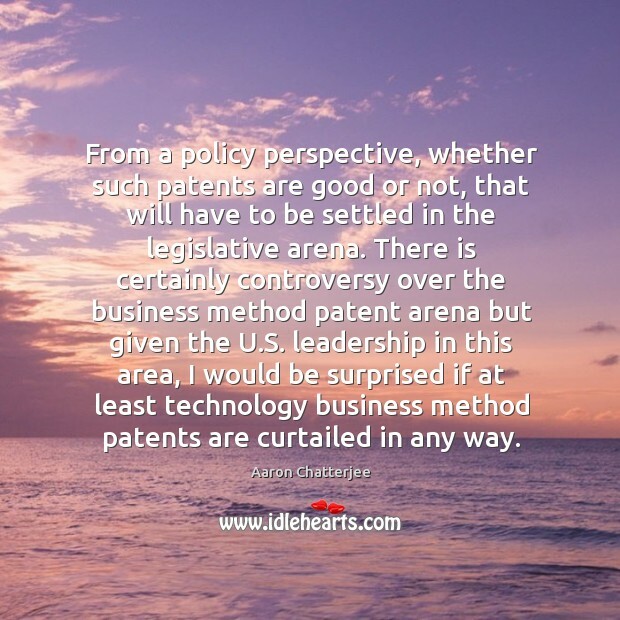 There is certainly controversy over the business method patent arena but given the U.S. leadership in this area, I would be surprised if at least technology business method patents are curtailed in any way.